What an incredible two months its been! I can hardly believe that Frank and I hosted the 8th Annual Memorial Dinner in memory of our son Frankie, AND I performed at the Saint George Theater doing my One-Woman-Show to raise awareness for Breast Cancer. Time to get back to the business of Real Estate, and my shoes! But first, let me take a moment to say that even though the weather would have you thinking otherwise, my husband Frank, and the entire BHGRE Safari Family, is busy preparing for its 10th consecutive year partnering with the US Marine Corps Reserve for their annual Toys for Tots Drive! Stop by Safari at 1958 Victory Boulevard with your new, unwrapped toy, say hello to Frank and me, and have a hot cup of coffee on us. We love meeting our neighbors! If you haven’t seen the shoes I wore at the Reali-ty of Breast Cancer Benefit Show, stay tuned! We’ve got lots of catching up to do! Its been a working summer for Frank and me, doing a little traveling around the country to stay up-to-date not only for our clients, but our dedicated agents too. We’ve managed to squeeze in a little fun on our Road Trip to Des Moines, Iowa, making several stops along the way. There were some long weekend trips to the Jersey Shore, and some nice visits with my mother and sister in PA.
Labor Day weekend is upon us, and that means the Richmond County Fair! Bring your family to this one friends, its a great event, run by great people. Come on out and join your Staten Island neighbors!. We’ve been preparing for Frankie’s Eighth Annual Memorial Dinner. “Protecting One Young Heart at a Time” will be honoring several terrific couples this year for our “Heart of a Champion” awards: Ralph and Susan Lamberti, Governor Forbes Irvine and Helene Irvine – Kiwanis International, Michael and Evelyn Kormenik – Staten Island’s Giving Circle, and Robert and Theresa Capolongo, Founders of Michael’s Cause. This year’s dinner theme, held at Li Greci’s Staaten, will be “From Our Family to Yours, Dinner Italian Style!” Please join us on October 24, 2016 at 6:45 p.m., as we raise funds for Frankie’s Foundation, “Protecting One Young Heart at a Time.” Please visit the Foundation’s new website, and listen to what the school’s we’ve tested in have to say! With butterflies in my stomach (really tiny butterflies), I’m busy preparing for my One-Woman-Show at the Saint George Theater on October 27. I am so excited for this event, and since I spend all day talking anyway, I may as well raise money for Breast Cancer and Frankie’s Foundation while I’m at it. So there’s lots going on friends. I hope to have your support at these events. It won’t be the same without you! What a summer! While crazy busy with Real Estate, I’ve got several projects cookin! Today, I’d like to share one that is near and dear to my heart, my One-Woman Breast Cancer Benefit Show at the Saint George Theater. Tickets go on sale this Friday morning, August 26, 2016. Laughter and tears will be in abundance, as I take you through my journey from diagnosis to my most recent surgeries. If they say laughter is the best medicine, this show just might cure us all. Please join me for an empowering night that is an absolute must for anyone surviving Breast Cancer, or supporting a surviving friend or family member. And wait till you see my shoes! I’ve been in hundreds, perhaps thousands of homes during my Real Estate career. When listing a home recently, I realized it was time to talk about clutter. I can’t tell you how many times I’ve had to tell a buyer to “look past the clutter,” and imagine their own things in a home that is spilling over with personal possessions. Homeowners, I urge you, before listing your home, try and look at your space through a buyer’s eyes. If you can’t, maybe its time to call in a professional. Selling your family home is a life-changing decision, but sorting through your personal possessions and making decisions about what to bring to your new residence is often the hardest part of the process. Thankfully, there are professionals that help make this easy. Whether you need to get that attic emptied, basement cleaned out, or are overwhelmed by an entire home full of possessions, Dave’s Kleen Outs will get the job done quickly and efficiently. Family owned and operated for more than twenty years, Dave personally handles each job with skill and care, understanding how difficult a task this may be for your family. Ready to list your home but need to de-clutter? Dave can help with that too! Professional office and house cleaning services are also available. Need more information? Call Dave at 917-588-4282, and get started! I am often asked, “But Fran, how can you be in so many places at once?” Obviously that’s not possible. But Social Media absolutely makes it seem that way! All day I’m reminded by my amazing Front Desk Staff, Lucy and Laurie, to update my Facebook status, send out birthday wishes, scour Twitter for relavant content, browse LinkedIn for interesting articles and groups… Its never-ending! It is also incredibly time-consuming. A few days ago, I had the privilege of attending a seminar at the Staten Island Museum; Social Media & Social Good: An Afternoon with Sree Sreenivasanon. Is it possible to advance social good by way of social media? Non-profits, social good and faith-based organizations, cultural groups, and small businesses were invited to attend this exclusive workshop hosted by the Staten Island Museum, so of course I was there! I learned so much about using Social Media for Social Good. I also learned that it is incredibly difficult to be successful at Social Media while running a nearly 24/7 small business, a not-for profit Foundation, a community volunteer, a wife, mother, and grandmother, a breast cancer survivor, and just Fran! I’m going to take a moment to consider all of this, while contemplating my pretty toes in my lovely shoes. I’ve got this! 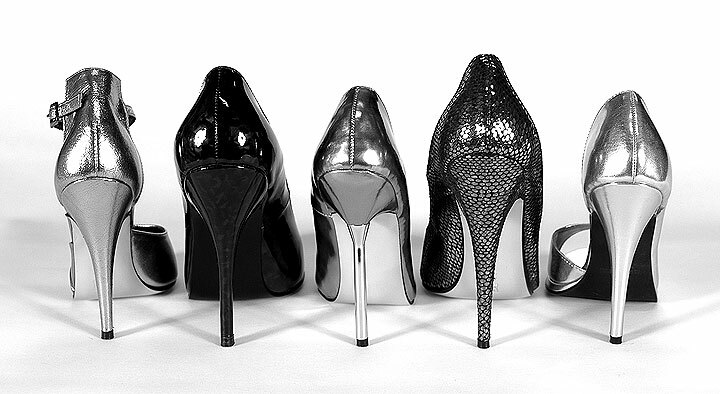 Remember, its always a woman’s right to tweet, and send a status update, and most importantly, to shoes! World’s largest game of #MusicalChairs! Protecting One Young Heart at a Time.